Only a month into 2016, businesses are planning for the rest of the year, and the print services industry is ready for another banner year. According to Printing Impressions, print industry year over year growth is supposed to double from 2015. Here are some of the top trends that the print industry is embracing over the next weeks and months. Businesses have a constant need for print documents. But with so many companies existing digitally, or embracing new organizational strategies, the share of businesses with their own fleet of printers is declining. But because of this, it's essential that those organizations partner with a managed print service that can distribute those print products on demand. With so many businesses looking to managed print services to handle their print product needs, it's increasingly important that those managed services are ready to print at a moment's notice. Smaller companies that don't have or can't afford the infrastructure to print themselves need a managed print service – one that can give them the products they need at the drop of a hat. As companies look to become more green in the new year, either because of fiscal or regulatory reasons, they're going to want to use print products differently to reduce the amount of waste they create. The print services industry should be able to leverage this by using better equipment and management principles in order to eliminate excess waste and reduce its carbon footprint. Sustainability is a big consideration for companies, and the print services industry should do what it can to decrease its impact on the planet and its resources. With some clever planning, best manufacturing practices, and advanced printing technology, print service businesses can save money and the planet, and attract business with their forward-thinking plans. Everyone likes when they feel like they're being catered to. Personalization is one of the best ways to give customers an experience tailored for them. Companies that offer personalized print products, either for businesses or individuals, will find that they're more ready to serve the ever-changing needs of their customers. Personalized print products aren't just liked, they're useful business tools as well. When companies personalize their forms and print products with their logos, it improves company loyalty, enhances brand recognition and ties the paperwork to the business. In a world where everything has gone digital, the print services industry has been swept up in this trend as well. The hype around multichannel marketing strategies might have its focus set on mobile and social marketing, but that doesn't mean print isn't viable anymore. Far from it. Any good multichannel marketing strategy would do well to focus on print. The decreasing cost of designing and printing beautiful, high-quality print documents means that companies can easily design a successful multichannel campaign without breaking the bank. 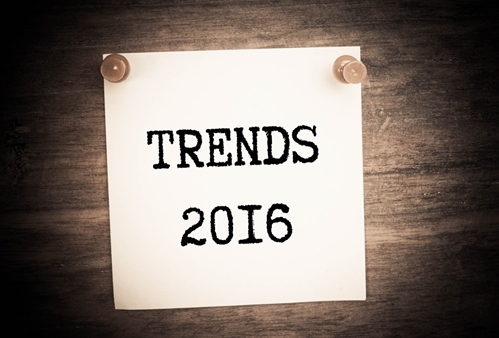 2016 is set to be a big year for the print services industry. The exciting possibilities of print services in the future are endless, and companies should take advantage of the industry however they can.